Governor Nasir el-Rufai of Kaduna state, Friday presented himself to President Muhammadu Buhari as proof that he was alive contrary to information making the rounds that he was involved in a fatal motor accident. Speaking to State House correspondents after meeting behind closed doors with President Buhari, the governor said he was hunting for the peddlers of rumours of his involvement in a fatal accident. El-Rufai, who said he was hunting for peddlers of news of his involvement in accident, said the person behind the rumours would face criminal charges when located. On claim by PDP presidential candidate, Atiku Abubakar that he won the election in Kaduna, he said, “Well, I heard about that. “Initially, I thought it was a joke and when I checked I saw clearly that he said he won Kaduna. It must be in his dreams. Let me say this without any fear of contradiction, since President Buhari started contesting for the presidency since 2003, he has never lost Kaduna. “So, PDP has never won elections in Kaduna from 2003, even with a sitting governor in 2003, 2007, 2011, 2015. It has never happened. I don’t know what will happen that Atiku will win Kaduna this time. 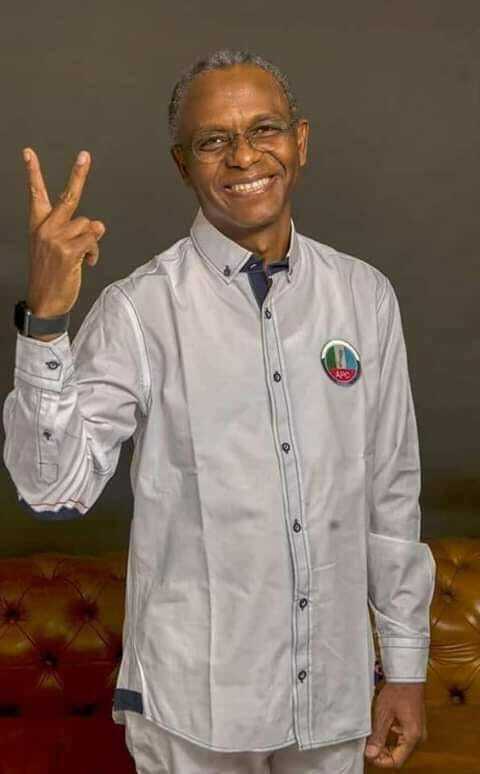 He lost Kaduna, he lost very badly, even though about 100,000 votes he claimed to have got were added because elections conducted without card reader in some parts of the state, that’s how he even got up to the 400,000 that he got. Reminded that the results were said to have come from the INEC server, he said, “Well, I don’t know about INEC server, it must be Atiku’s server. I don’t know about INEC server, we don’t know how they had access to it, they will tell us during the tribunal proceedings what is this server and how they got access to it and how they got their numbers.